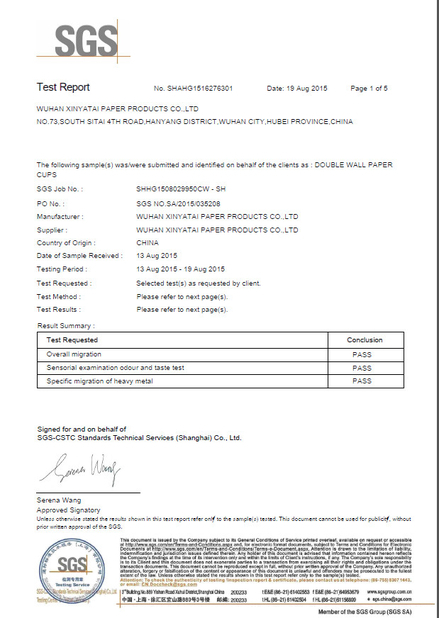 Quality Control - Wuhan Xinyatai Paper Products Co., Ltd.
1). 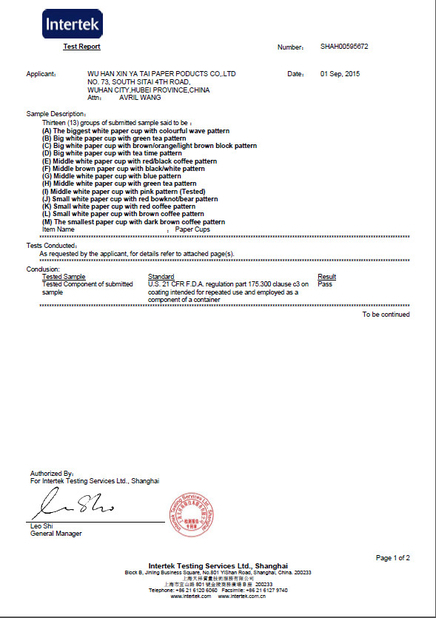 The Detection of Paper roll. 2. 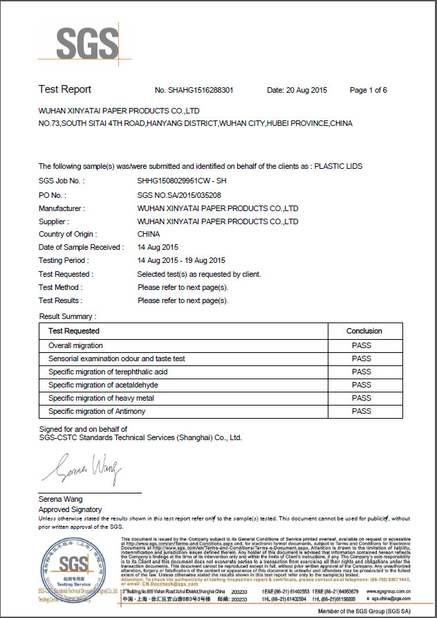 The Detection of PE Material. 2). The Dection of Printing Process. 3). The Dection of Paper Cup Fan. 4). 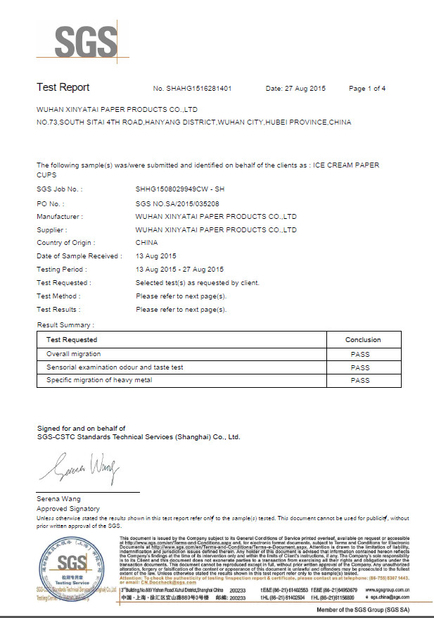 The Dection of Paper Cup and Bags.